During this summer, my daughter attended a basketball camp at the school that she now attends. One day after basketball camp we stopped and grabbed lunch at Catfish Station. 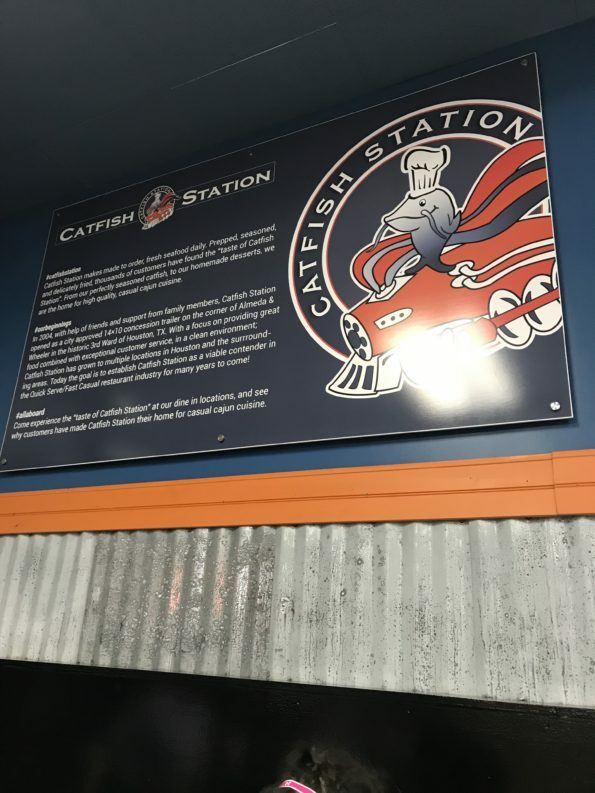 Catfish Station strives to provide delicious food, great service and a clean environment. During our visit the restaurant definitely checked off all those boxes! 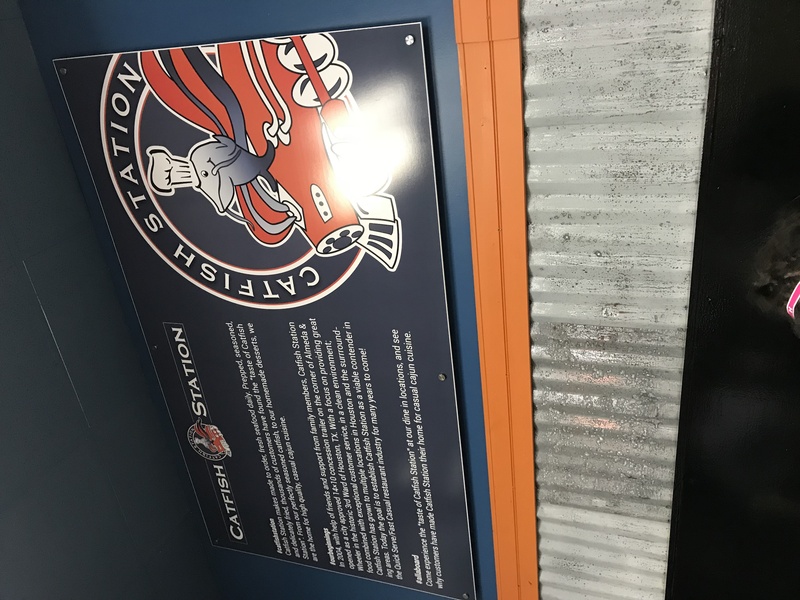 Catfish Station is a fast casual restaurant with locations through out Houston and surrounding areas. Here are a few of the items that we tried. For an appetizer, we tried the smoked boudin which was served with a dipping sauce, the house made remoulade sauce. I have to admit I was a bit hesitant at first being from Louisiana where there is some of the best boudin around. But the boudin with the remoulade sauce was killer good. 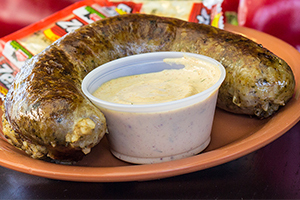 The sauce and boudin together was a nice mix. My mom had the seafood tacos. 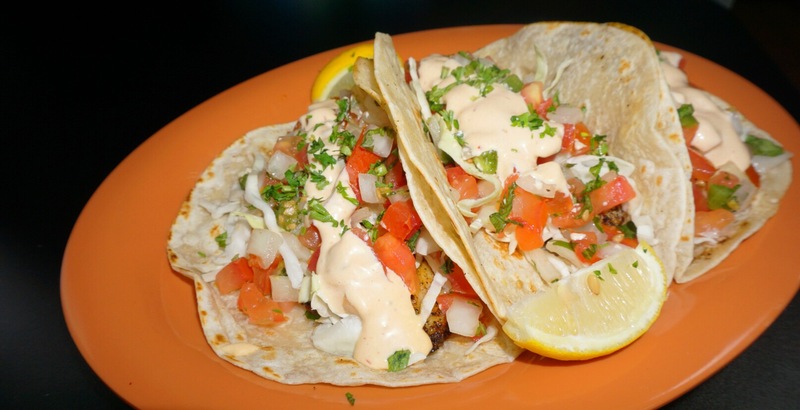 The blackened fish tacos were served with shredded cabbage, pico de gallo and a chipotle sauce. 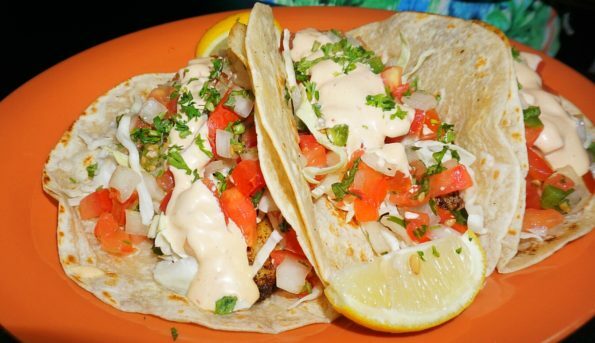 Taco Tuesday never look so good. The tacos were superb. The ingredients were fresh. Z-man ordered the chicken tenders and fries. 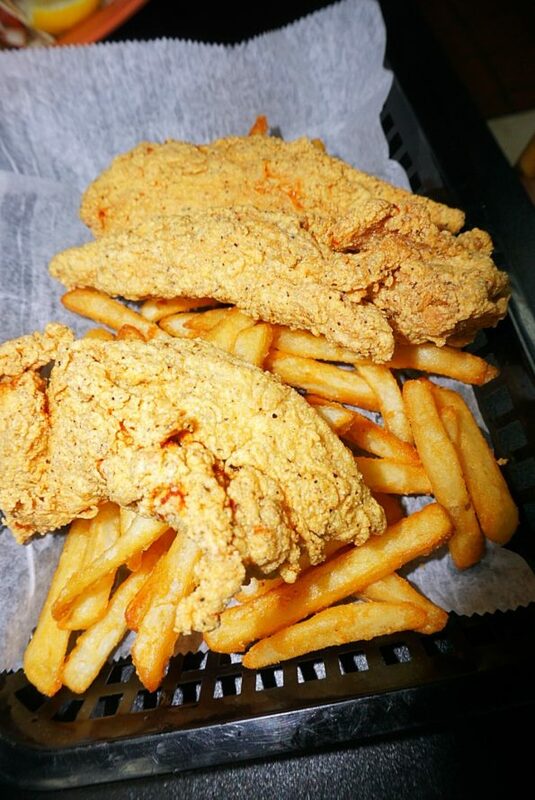 The chicken tenders were fried golden brown and served with french fries. Tasty, well seasoned and fried perfectly. A good choice for him. The chicken was also served with a dipping sauce. A little on the spicy side for him but the sauce was good. Baby girl wanted to try the gumbo. The gumbo was flavorful. Not a super big bowl but it was the perfect size for her. Catfish Station also serves potato salad so why not add a side with your gumbo! Yum. 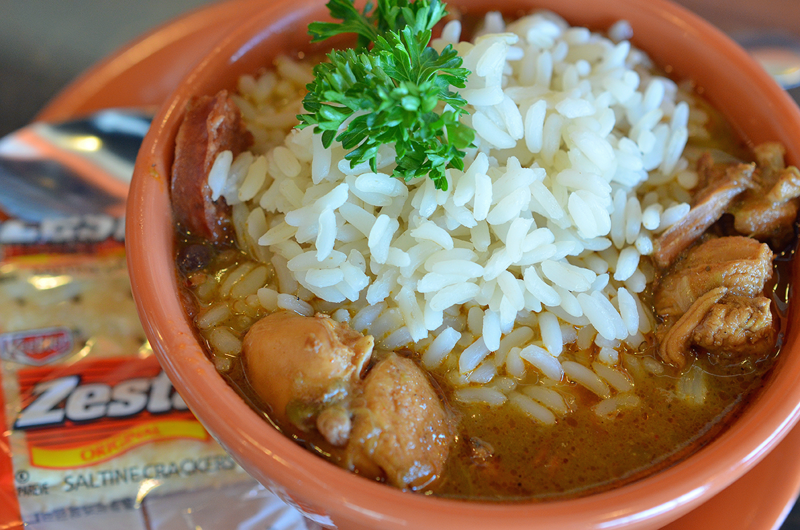 The gumbo was served with crackers. I ordered the Cobb Salad. The Cobb Salad was huge! Oh my word. My mouth was watering when this salad arrived. My choice of protein was the blackened shrimp. 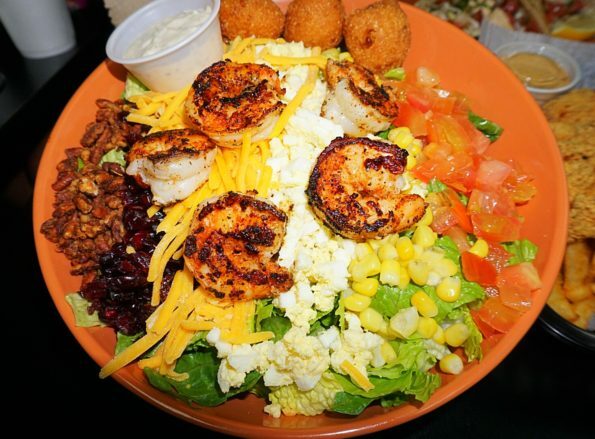 The salad included blackened shrimp with mixed greens and iceberg lettuce. Topped with dried cranberries, homemade candied pecans, eggs, tomato wedges, corn, shredded cheese, sweet corn and hush puppies. My dressing of choice was the bacon caesar. This salad was superb. 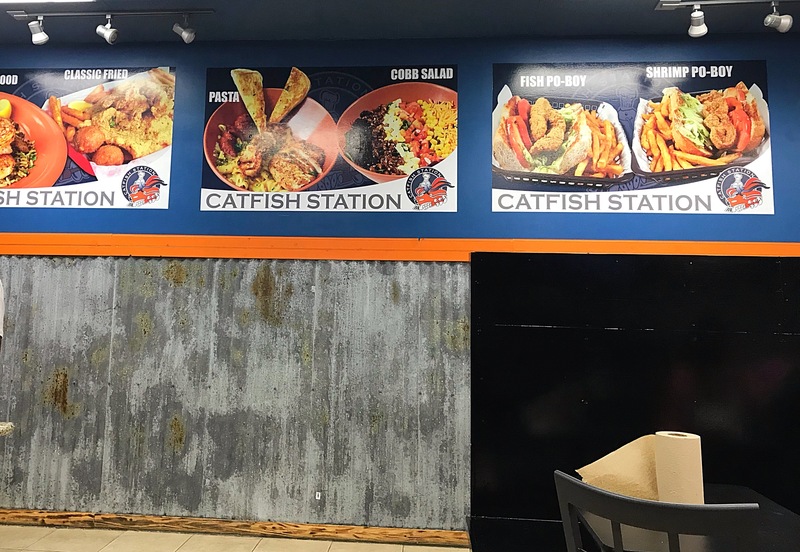 I typically don’t order a salad at restaurants because most places skimp on the ingredients, but Catfish Station did not. The salad was loaded with ingredients. The shrimp was seasoned perfectly. This salad was fulfilling. So good! 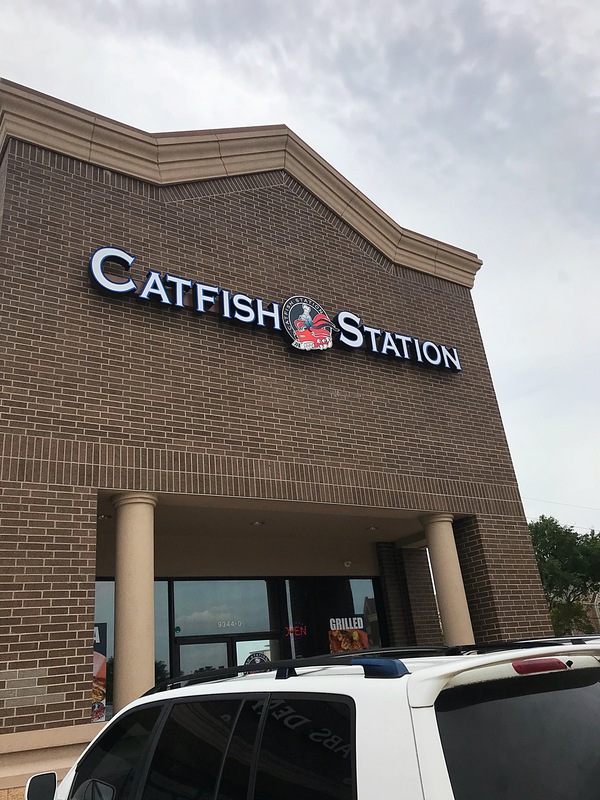 Overall our meal at Catfish Station didn’t disappoint. Everything was superb. The service was awesome. Though the restaurant is a fast casual spot, the food and service showed otherwise. A restaurant that believes in catering to the needs of the people while serving the food at a high standard. Catfish Station has many locations, but the restaurant we dined at was located at 9344 Jones Rd, Houston Texas 77065. The hours of operation are Monday – Saturday 11:00 a.m. – 9:00 p.m. and Sunday 12:00 p.m. – 9:00 p.m. Thank you for your comments! We will always strive to deliver on our core values. Great food. Excellent Customer Service. Commitment to a clean environment.